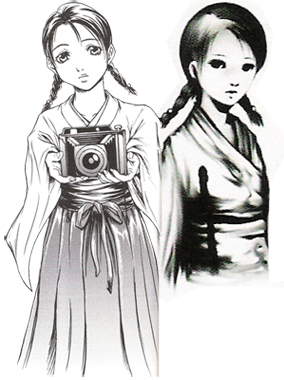 In Life: When Kirie was about the age of seven years old, she was chosen to become a Rope Shrine Maiden. She was chosen through a game of Demon Tag that was played on the 26th of November 1827. All of the girls in the Himuro family above the age of seven, including Kirie, were gathered into an unspecified room in Himuro Mansion. The last girl to be caught during this game, which in this case was Kirie, was destined to become the next Rope Shrine Maiden. It was believed that the last girl caught during the game had the most holy power, as she was able to evade the "oni" for the longest time. They were considered the best choice for being sacrificed in the Strangling Ritual, as their holy power would be the most effective at sealing the Hell Gate. Immediately following the Demon Tag Ritual, Kirie was taken away from her family and put into seclusion from the outside world for the next 10 years. During this time, she lived alone in her cell at Himuro Mansion with hardly any guests and only the attending priests for company. Near the end of her seclusion period, there was a visitor staying at the mansion. Kirie saw him out of her window, and they met one another unexpectedly in the Cherry Atrium. He continued to visit her and tell her about the outside world, and Kirie slowly began to fall in love with him, and learn the simple joy of life. Suddenly, the young man stopped visiting. Kirie was told by the head priest, that the young man had gone back to his village. The truth was that Lord Himuro ordered the man to be disposed of, out of fear that he was becoming too close to Kirie and might cause Kirie to not fulfill her duty as the Rope Shrine Maiden. Kirie eventually learned the truth, when she dreamed of her lover one night. His tragic death made her feel guilty and upset that she had gotten the poor man involved. The day before the ritual, Kirie had a strange dream about a samurai who spoke of a Holy Mirror. He told Kirie that breaking the mirror was the only way to stop the ritual and for her to be with the man she loved. Kirie did not break the mirror. On the day of the ritual (December 13th, 1837) Kirie wrote in her diary that the mansion was bustling with life, as all of the Himuro family members had come for the ritual. Kirie purified herself in the Moon Well and was escorted by Lord Himuro and the other priests to the Rope Altar. Kirie was tied down by her hands, neck, and feet, and each of the priests turned the gears connected to the corresponding rope, strangling Kirie to death. The blood-soaked ropes were then taken and bound in front of the Hell Gate. Due to her doubts, guilt, and wish to live, Kirie's ropes failed to bind the Hell Gate, and it swung open, shattering the Holy Mirror and releasing the Malice, which began to spread throughout the entire mansion. Postmortem: As the Malice possessed Kirie's spirit, she split into two forms: her adult form, possessed by the Malice, and her younger form, that remained untainted. Her younger form tried to find a way to free the mansion of its curse and fulfill her duty. Young Kirie thought she had found her chanse when Tainted Kirie kidnapped Mayfuyu Hinasaki, whom looked so much like her lover, and got his sister Miku to the mansion. In Life: When Sae and Yae were 14, Itsuki and Mutsuki performed the Crimson Sacrifice Ritual. Unfortunately, the boys’ ritual failed. The responsibility then fell on Sae and her sister to complete the ritual successfully one year later. It is unknown how much the twins were told about the ritual beforehand. Since their father was the ceremony master and their friend a Remaining, however, they probably knew what the ritual entailed. Sae, realizing that in time she and Yae would grow apart, wanted nothing more than to complete the ritual and “become one” with her sister. Yae, however, was opposed to the ritual, believing it cruel and unnecessary. With Itsuki’s help, she planned on escaping with Sae. Sae went along with the idea only because Yae wished it. While Sae and Yae were undergoing their cleansing to prepare for the ritual, the folklorist, Seijiro Makabe, and his apprentice Ryozo Munakata arrived at the village to conduct research on local customs. Ryozo was an old friend of Itsuki’s and had promised to take care of Sae and Yae after their escape. The visitors were greeted by the Kurosawa Family, and treated well. Despite the initial warm welcome given to the visitors, Sae and Yae believed their father was planning on using the men as Kusabi sacrifices. They took Seijiro a map showing a side door leading out of the house and the key to unlock it. They warned him that the Hidden Ceremony was approaching and told him to leave during the night. Seijiro sent Ryozo away but stayed behind, ultimately to be sacrificed. Before leaving, Ryozo whispered to Yae that he would return for her and Sae on the night of the ceremony. Sae mused in her diary that her and Yae’s completion of the ritual would appease the Hellish Abyss and prevent people from having to suffer further. When the time came, Itsuki led the girls into the forest and showed them the path out of the village. He told them to go ahead of him and warned them not to look back as Sae looked back at her friend one last time. Yae followed the forest path without looking back, while Sae struggled to keep up, begging Yae to not leave her. Not wanting to escape, Sae slipped and fell on purpose, believing Yae would stop for her, so that both would be caught and ultimately be forced to perform the ritual. Yae, however, didn't notice Sae falling behind her and kept going. A mob of villagers soon caught up to Sae and took her back to the village. She waited for Yae's return, insisting that her sister would come back for her. While waiting for Yae's return, Sae went to see Itsuki one last time before the festival, by visiting the Tsuchihara storehouse where he was locked in as punishment for helping her and Yae escape. Upon entering the building, she discovered Itsuki had committed suicide by hanging himself. She cried, blaming herself and saying, “If it was to come to this... we should have done the ritual.” She resolved to complete the ritual alone. Although no Twin Shrine Maiden had ever completed the ritual alone, Ryokan was growing desperate because of the horrible rumbling coming from the Abyss. He decided to go ahead and perform the ritual with Sae alone, hoping she could appease the Abyss. In another of her diaries, Sae wondered if she would be able to become a butterfly without Yae. Still, she hoped that Yae would come back in time and complete the ritual with her. A group of Veiled Priests escorted Sae to the ritual site. On the way she dropped a note for Yae to find, saying she would wait until the very end. As the priests approached the Abyss, Sae hesitated, but was pushed on. The priests hung her from the very last Torii Gate, and the Mourners threw her lifeless body into the Abyss. Since the sacrifice was not properly performed, however, the ritual failed and the Repentance occurred. Postmortem: A huge wave of Darkness burst forth from the Abyss, covering the entire village and killing many villagers in its path. The vengeful ghost of Sae emerged from the Abyss, filling the night with her maniacal laughter as the Kusabi began to slaughter all those within sight. After killing everyone in the Kurosawa House, they proceeded to massacre the surviving villagers. Sae’s spirit bore a bloodstained kimono(The stain resembling half a butterfly, symbolizing how she never became a Crimson Butterfly) and a rope mark on her neck. She continued to wait in the carnage for Yae's return. In Life: Reika grew up in a village near the Kuze Shrine, the same village where Kaname was smuggled out to as a baby. It was here that the two met and fell in love. Kaname left the village at some point to study, leaving Reika the Echo Stone Earring his mother had given him. While he was gone, an unspecified disaster occurred (believed to be an avalanche, many of which occured during the later years of the Edo period in the eastern Tohoku area). Reika's whole family were killed. With no way to contact Kaname and poor future prospects as a young woman without a family or a husband, Reika agreed to serve as a Tattooed Priestess, hoping that she could help people who had experienced pain and loss like her. She went to live at the Kuze Shrine and adopted their surname. During this time she wore ritual attire of blue and white, similar to the Handmaidens. 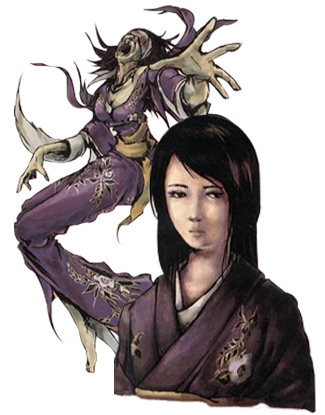 As a priestess, before the rituals, Reika spent her days in the Hanging Prison, where she was cared for by Amane Kuze, and took comfort in talking to Amane about the outside world. At some point, unaware that Amane was Kaname's half-sister, she showed Amane the Echo Stone Earring. Amane recognized it, and wrote in her diary of her suspicion that Reika's friend was Kaname. 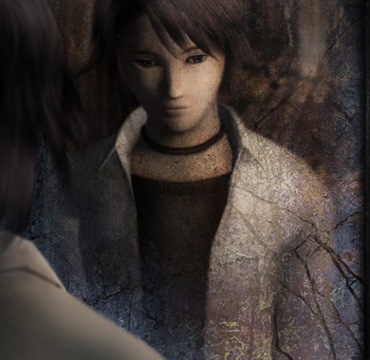 In preparation for the Piercing of the Soul ritual, Reika etched her grief into the Mirror of Loss so that it would not interfere with the pain of the parishioners. Much of her pain had to do with Kaname and her desire to see him again. During the Ritual, Reika's body was etched with tattoos to represent the pain of the living and the dead by Engravers. She was tended to by Handmaidens during this time, who had the duty of singing the Handmaiden's Song to her and impaling her during the Impalement Ritual. Once the tattoos covered her body, Reika was required to break the Mirror of Loss and cast her love away. At some point after receiving the tattoos, Reika wrote about a dream she had of Kaname, revealing that her love for him still existed inside her. She hoped to dream of him in her eternal sleep. At last, she was impaled in the Chamber of Thorns. Reika's dreams of Kaname, however, had formed a connection with him, and he was dreaming of the House of Sleep. 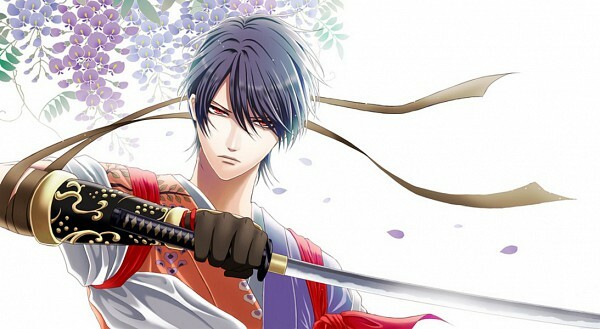 Eventually, unable to resist, he returned to his home-town and made his way to the Kuze Shrine, where Amane recognized him and agreed to help him see Reika. Against her advice, he went deep into the shrine and eventually found his way to the Chamber of Thorns, where Reika was impaled and sleeping. He woke her and she smiled, happy to have seen him once more. In Life: Sakuya was born on Rougetsu Island. She had a strong sixth sense, like her mother. When Sakuya was young, her mother began to suffer from Getsuyuu Syndrome and committed suicide rather than live without her memories. Sakuya's father, Shigeto Haibara, the director of Haibara Hospital, threw himself into his work seeking a cure for Getsuyuu Syndrome. 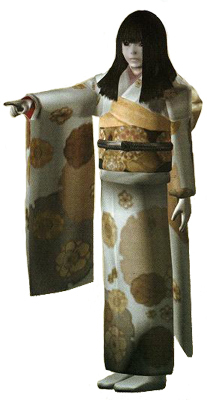 During her time at Rougetsu Hall, she used dolls to maintain her sense of self, believing that she could preserve pieces of herself inside them. As her condition deteriorated, she began to have a negative influence on others. She was isolated in a special ward on the fourth floor, but the nurse charged with her care was strongly affected, and eventually killed herself in front of Sakuya. It was in this room she befriended Misaki Asou, a little girl who also had a strong sixth sense. The two became close, and she eventually gave the girl a doll which represented both of them, so that they could always be together even though Misaki was forbidden from meeting Sakuya any more. Shigeto Haibara's research into Getsuyuu Syndrome had led him to uncover information about the Kiraigou, the ancient precursor to the Rougetsu Kagura. He, his son(and Sakuya's brother) You, and a master mask-maker, Souya Yomotsuki decided to resurrect the ritual with Sakuya as the Utsuwa, the dancer who wore the Mask of the Lunar Eclipse and became a channel for the souls of the dead. Five young girls, including Misaki, were kidnapped to participate as Kanade. Sakuya fulfilled her role in the Kiraigou at the same time as the annual tourist Kagura was performed, in a secret chamber underground. During the performance Sakuya began to panic, and the mask broke into pieces. This reaction caused the participants in the tourist Kagura above to collapse and die instantly. Sakuya and her five Kanade also collapsed, although they did not die: the girls lost all their memories, and Sakuya fell into a coma. After the ritual, Sakuya was kept hidden and in secret in the basement of Rougetsu Hall, in a comatose state but still alive. Even in this state, she had a disturbing effect on others, and Shie Sonosaki, the nurse guarding her room, suffered from the persistent fear that Sakuya's eyes would open and that she would come through the door. Shigure was charged with the watching the Shrine Carpenters so they couldn't escape their impending death. She also cared for Kyouka Kuze(A former Handmaiden) when she was locked in the Closed Tatami Room. Unlike Hisame and Minamo, Shigure had a compassionate and sympathetic side, especially toward Amane. When she found out about Amane's plan to sneak Kaname into the shrine, she pleaded with Amane not to break the Kuze Code. After following orders from Yashuu Kuze to impale Amane, Shigure is the only Handmaiden to express any guilt at what she did. Later, after the Shrine Carpenters failed to contain the Rift from spreading, Yashuu ordered Hisame to impale both her and Minamo in the Enclosed Room. Along with the other Pacifiers, she had the duty of "pacifying" the Priestess' sleep during the Impalement Ritual. The Pacifiers carried out the duty of singing the "Sleeping Priestess Song" and impaling the priestess in the Chamber of Thorns. She was the most dutiful of the four. It was she who Yashuu entrusted with leading the order to kill Amane, by impaling her at the bottom of the Abyss(Not the same as the one mentioned in Sae's bio). After the Unleashing, the Rift began to engulf the Manor, and continued to spread in spite of attempts to contain it. The Kuze Family mistress instructed Hisame to impale the remaining Pacifiers in the Enclosed Room. Hisame was the last to die at the manor after the Unleashing. She wrote in her diary that she would go to sleep "forever and ever". Her spirit continued to impale dolls on the wall. Minamo finds great pleasure in impaling others. She fantasizes about it; so much so that she cannot wait to impale the Priestess. She wonders to herself what it would feel like to be impaled. 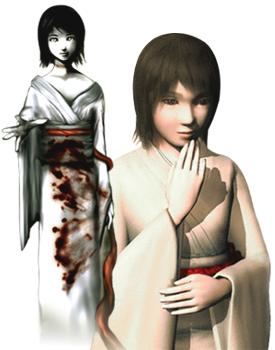 After Amane Kuze disobeys the Kuze Code by bringing her half-brother Kaname into the shrine, Minamo follows the orders of Yashuu Kuze and helps impale Amane at the bottom of the Abyss. Later, after the Shrine Carpenters failed to contain the Rift from spreading, Minamo is impaled, along with Shigure, in the Enclosed Room, on the orders of the Family Head. 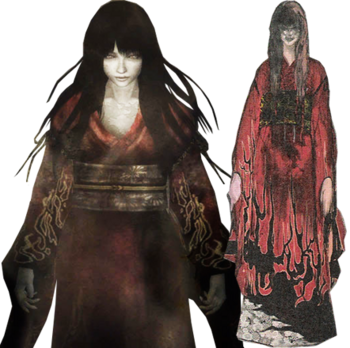 Now Minamo haunts the House of Sleep, beckoning to women lost in The Village that wander into the manor, whom she believes are the next priestesses, so she can impale them as well. Sometimes she will mockingly ask during battles, "Are you hurt?" Handmaiden info: At the Kuze Shrine, handmaidens performed daily shrine and housekeeping activities, as well as attending to the needs of the priestess. Their support was emotional and well as physical; they were to act as companions to the priestess, helping to lessen her pain and loneliness as she underwent the Piercing of the Soul. 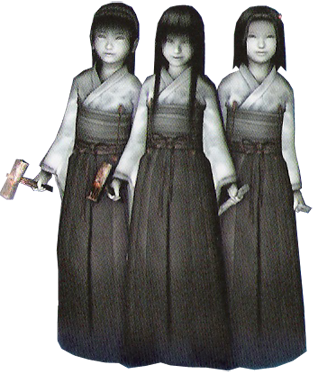 Handmaidens were either from the Kuze Family or chosen from neighboring villages and 'adopted', taking on the Kuze name during their term of duty. There were always four handmaidens at any given time, each representing a cardinal direction with her own personal room within the shrine. Handmaidens were taught by the family head, and received quite a thorough education. Once they had performed their duties and their term of service was complete, they were allowed to leave the shrine and live as normal, and were possibly useful in seeking out future worshippers. 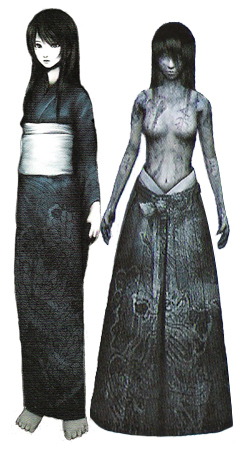 The Handmaiden's Song was a ceremonial song performed by the Handmaidens during the shrine's rituals. It made its way into some of the mountain villages nearby and was transformed into a lullaby, but the lyrics still retained hints of its ritual origins. The handmaidens' role in the Impalement was to pin the Tattooed Priestess to the ground by hammering sacred stakes into her hands and feet. Each handmaiden was responsible for one stake. As the handmaidens drove the stakes into priestess's body, they sang the Handmaiden's Song and spoke prayers over her so she could lie in peace. It was also the handmaidens' duty to impale Kushimi Dolls, representing the pains of Worshippers, onto the walls of the Doll Altars, and sing the lullaby to appease them. Presumably, the tattooed skins of failed priestesses removed during The Tearing ritual were treated in the same way. Under normal circumstances, Handmaidens brought into the shrine from outside would serve a term of duty, and then return to their homes. If one was the heir to the Kuze Shrine, she would continue her training, but would no longer act as a Handmaiden. The Handmaidens serving at the time of the Unleashing were the exception. Yashuu Kuze instructed Hisame to perform The Final Impalement as a last desperate attempt to halt the Rift. It involved Hisame killing the remaining two handmaidens Shigure and Minamo as sacrifices before "going to sleep forever" herself. Impalement was also the punishment for a Handmaiden who broke the Kuze Code. In Life: Blinded was a member of the Himuro family. Upon reaching the age of 7 years, 9 months and 25 days, she was obligated to take part in the Demon Tag Ritual, like the rest of the young girls of the Himuro family her age. Every 10 years the entire Himuro family was obligated to gather at Himuro Mansion to perform a set of rituals to seal the Hell Gate, as well as prepare for the next set of rituals that would occur 10 years later. One of the rituals performed was a game of Demon Tag. It served as a means to select the next Rope Shrine Maiden and Blind Demon for the next set of rituals. The first child to be caught became the next Blind Demon for the next game of Demon Tag. 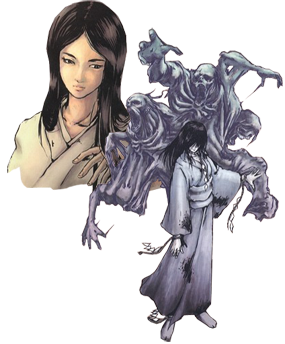 Blinded was chosen to be the next Blind Demon in the same game of Demon Tag that Kirie was chosen to become the next Rope Shrine Maiden. It is unknown if, like Kirie, Blinded stayed at the mansion in seclusion or was allowed to live a normal life prior to the Blinding Ritual. When the appointed time came, she was led through the Hidden Passage to the Blinding Room, where she was held down from moving by the four Himuro Family Priests. Lord Himuro then approached with the ceremonial Blinding Mask and applied it to her face. The Blinding Mask was a mask with giant stakes that were meant to pierce the eyes, permanently blinding the victim. What happened to Blinded after this is not known, including if she was able to perform the Demon Tag Ceremony to choose the next Blinded Maiden and Rope Shrine Maiden. It is presumed she perished during the Calamity along with the other people killed. Postmortem: After her death, Blinded's spirit returned to roam the mansion in search of the next Blind Demon. Appearance: Please ignore the outfit. He actually wears a tattered brown(used to be white) shirt and black pants. He is barefoot and seems frostbitten. In Life: George was Jack's 'older' twin. They were lost their parents to a house fire at age 6 that left them nothing. Unwilling to risk being separated Jack convinced George they could live on the street. They did well, for a time, but when the twins were 12 years old they had a very bad winter. The temperature was at an all-time low, they had no where to go, and the shelter was full. They settled in an alley that protected the brothers from the harsh wind, but it was still getting dangerously cold. Seeing no way for them both to survive, George gave Jack his coat, sweater, and scarf.